“Cindy” is a young senior doe that we’re excited to use in our shaded program. She has a very nice clean color with deep almost black-like points. We love how short she is and her beautiful short front limbs. She is currently bred and we’re excited to see how her first litter goes. 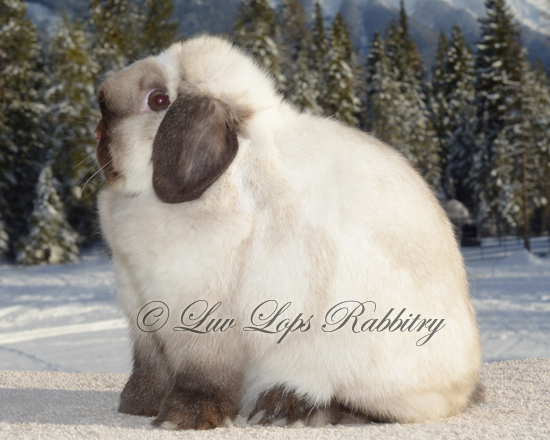 She’s a Luv Lops’ Charmin daughter too, which makes her even more special. Carries REW and possibly dilute.